In the world of 3d printing technology, everything is possible, there is no such prototype which can’t be created using additive manufacturing. If we talk about the vast application of this technology, many industries like automobile, medical, fashion and many more are leveraging the power of 3d printing. The real use of such high-tech platforms is when they can solve our daily life problems, like small portable tools, mobile cases, utility accessories which can make our day to day life easier. One such growing category is the cutting tools industry. Now, you can create high strength tools with the help of 3d printers to replace your traditional one. Metal 3d printing is the modern advancement which is capable of printing high-quality metal items which can replace your daily life tools. With the help of metal 3d printing, researchers are printing lightweight tools and accessories which can replace bulky and risky tools. If you want to know how this additive manufacturing work, let us explain this in brief. In the metal additive process, there are basically two fundamental methods, one is the SLM (Selective Laser Melting) and other is the Direct Metal Laser Sintering (DMLS). The printing process is based on a metal powder fusion technique in which highly focused laser is projected on the metal powder bed and by layer after layer, the object is manufactured under high temperature. Why 3d printing for manufacturing high strength tools? Here comes the concept of convenience and cost-effectiveness. The tools made up from this modern technology are lighter than the traditional metal tools and possess more durability in every condition. That is the reason why many people are preferring 3d printers to craft their custom made tools which generally are not available in the stores. If you need some special kind of tool for some special operation and you are not able to find it at any store, don’t worry, just print it out. There are various online 3d printing open source design libraries are available which allows you to take design reference and print the object as per that design, isn’t it cool? all these things are not possible in the conventional metal tools manufacturing process. The upcoming future is of the 3d printed steel tools. This is one of the hottest categories in the 3d printing technology. As the 3d printers and the filaments are available to all at very affordable pricing, people are no behind crafting their favourite designs using these printers. If you are reading this article from Australia, then you will be very excited to know that there are numerous 3d printing companies in Australia which offers amazing product printing services. Just bring the design, the engineer will craft your design into a touchable reality. The greatest benefit of leveraging the application of 3d printing is the seamless level of creativity without any limit. You are free to draw your imagination into a robust reality and create something useful for all. Additive manufacturing really brings the best of any product, whether its cutting tools, automation parts or construction machinery. Researchers are able to reverse the engineering process and eliminate the shortcomings of an existing product without any hassle. There are many small cutting tools and accessories which are relatively expensive when it comes to the mass manufacturing of them. But with this technology, any product, any design is easy to create and the cost of manufacturing is comparatively lower because of the filaments. You can choose from a variety of materials for your tools, from stainless steel to carbon fibre and silicon, you have a lot of choices for your all different tools. Contribute toward this fastest growing innovative technology by creating something useful and robust tool which can help people in their daily life. 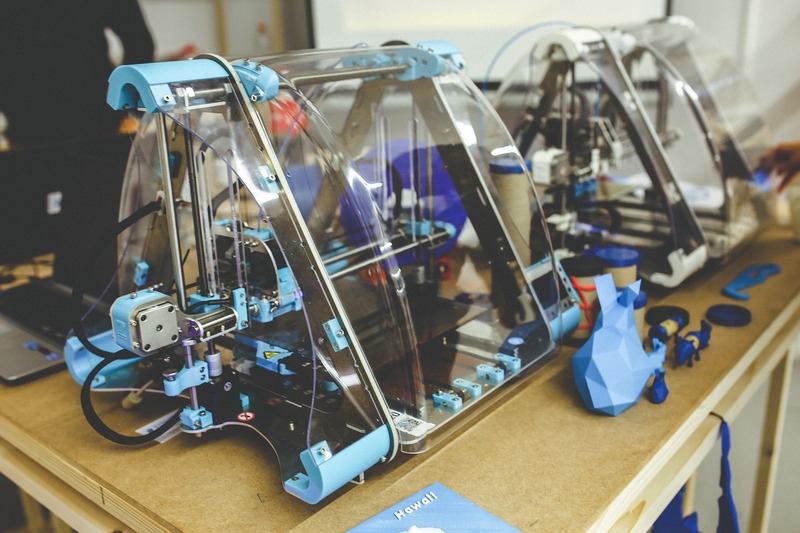 There are so many 3d printing hubs in Melbourne which are working on various interesting 3d printing jobs. Craft your idea into an art piece with additive manufacturing.